ZTE was dismissed from the executives to send a farewell letter: leaving is not what he wants, twice clearly said "deeply humiliating"
"ZTE event" was dismissed from the company's senior officials to disclose the situation. On the evening of July 6th, Mustang Finance obtained the full-time farewell letter — issued by Zeng Zhenhui, executive vice president (EVP) and global marketing manager of ZTE, who was dismissed from relevant channels. Heng Cuiwei & mdash; — No, my little friends. Talking about the feeling of leaving the job, Zhang Zhenhui clearly stated twice in the open letter that “deeply humiliated”. On the evening of July 5, 2018, ZTE issued an announcement to disclose the executive approval and approval of the company's board of directors. One of the main contents of the proposal is: no longer hire Zhao Xianming as the company's president, and no longer hire Xu Huijun, Zhang Zhenhui and other five people as executive vice presidents of the company, and will not serve in the company. Wild Horse Finance has carefully compared and verified many of the details of the above-mentioned open letter, and the authenticity and credibility of the open letter is high. In 2001, 27-year-old Zhang Zhenhui graduated from the university and entered the ZTE Beijing Big Project Team as an ordinary salesman. From October 2002 to the end of 2005, he entered the ZTE Shijiazhuang office and began to take up management positions. In 2006, Zhang Zhenhui was transferred to the company's Taiyuan office as the deputy general manager of the business department, and was also appointed as the fifth district of the third battalion. 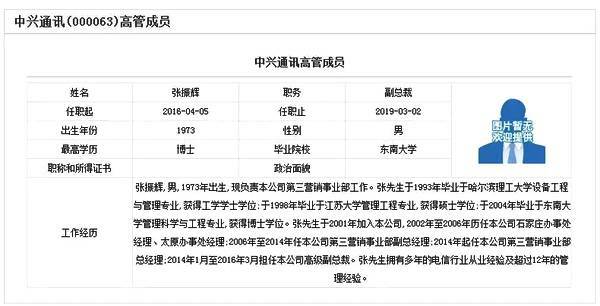 In April 2009, Zhang Zhenhui was transferred to the director of the Third Battalion Telecom as the Director of Telecommunications. Until the beginning of 2014, Zhang Zhenhui was officially promoted to ZTE SVP (Vice President), and entered the ranks of company executives, in charge of the entire ZTE 3 battalion with a revenue of nearly 30 billion yuan. At the end of December 2015, Zhang Zhenhui was promoted to the company's EVP (Executive Vice President) by SVP and entered the company's “Changing Committee”. The time and position information involved in the resume is consistent with the announcement information of the listed company. In addition, the open letter also covers such expressions as monographs, proposals, management tools, corporate culture, as well as the details of the words and sentences, and the details of the classics are consistent with the corresponding public information of ZTE. 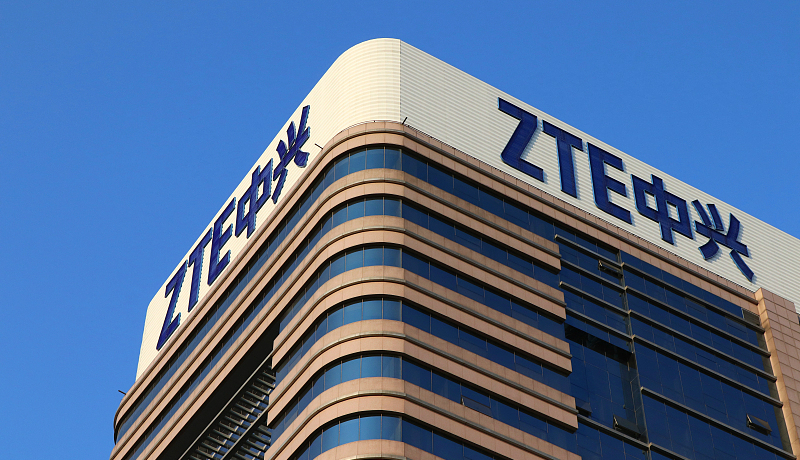 Since the occurrence of the ZTE incident on April 16, 2018, Zhang Zhenhui still believes that he will continue to fight with the company until mid-June. However, the final outcome is “under the white terror” of the tech war, all EVPs of companies including me have signed the resignation agreement and have officially retired and left the company. In an open letter, Zhang Zhenhui systematically reviewed his 18 years of working in ZTE. In his view, “very unfortunate” occurred in the first quarter of 2016, and ZTE experienced the biggest crisis in history, “we later called it an A event”. According to the public information, Zhang Zhenhui’s “A-Event” should mean that in March 2016, the US government believed that ZTE illegally exported US-made high-tech products to Iran, including ZTE and its three subsidiaries. The company was listed on the export blacklist by the US Department of Commerce. Later, ZTE and the US Department of Commerce and other departments reached a "reconciliation" agreement, ZTE agreed to pay a fine of 890 million US dollars. On April 16, 2018, the US Department of Commerce made a decision to activate the refusal order, prompting ZTE to quickly fall into the shock crisis. ZTE also announced the suspension of the A-share and H-shares. On the same day, Zhang Zhenhui was on his way to international business. Huawei, a friend of the message, stands up to the challenges that will inevitably occur. After the difficult breakthrough in the “A event” in 2016, ZTE formed a global marketing department to cover all aspects of global marketing. 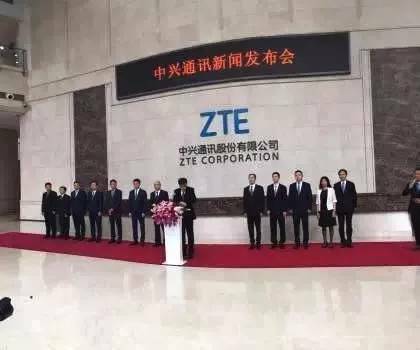 On December 21, 2016, Zhang Zhenhui went to the position of head of the new global marketing department of ZTE's Shenzhen headquarters. In the open letter, Zhang Zhenhui repeatedly mentioned the Huawei company in the same city, which is also based in Shenzhen. “ Thanks for 18 years, our city friend Huawei. In the past 18 years, in addition to the name ZTE, the name huawei has always been remembered. Regardless of how to fight on the battlefield, we have to admit that Huawei, like ZTE, is a banner of Chinese national communications companies. ” Zhang Zhenhui said. For the fierce competition between friends in the same city, Zhang Zhenhui, who is the head of global marketing, believes that “Zhongxing Company is growing up and going to the present day in the process of fighting with Huawei. Read "Zhuangzi", "Between the world of life, if the white space is over the gap, suddenly it has been." Yes, it’s already. It has been 81 days since the 416 incident occurred. After the 416 incident, I like everyone, every day, every day, every day, I hope that T0 will arrive at the next dawn. Just yesterday, on July 5, 2018, in order to arrive at the company's T0, for the company's performance, for the company's tomorrow, I officially served ZTE for 18 years, and signed my name on the agreement to terminate the labor contract. .
At the time of the 416 incident, I was on a international business trip to a country and a well-known operator to sign a comprehensive strategic cooperation agreement. The first time to land, the phone is turned on, and dozens of missed calls have already explained the seriousness of the situation. In the 2016 A incident, it took only two weeks from the March 7, 2016 incident to the March 22nd US Department of Commerce to issue a moratorium. This year, the crisis has come again. This time, can we lift the company's crisis as soon as possible in a shorter time? At the time I was at Dubai Airport, the most important thing was this. After the incident, the 15,000 global marketing officers and I led by me and I have always insisted on orderly operation and responding to the crisis on the premise of adhering to compliance under the premise of adhering to compliance. For well-known reasons, I have no responsibility for this incident, so until mid-June, I firmly believe that I will continue to fight with my friends. But the result is that until the last day of the performance, all the EVP and many comrades in the company were spared. For the company's next development, in order to arrive at the T0 as soon as possible, despite the deep humiliation, every executive, including me, resolutely fulfilled the requirements of the company's settlement agreement, and all chose to leave! This afternoon, according to the arrangement, the company's new and old team will carry out work handover. This situation, mixed feelings. I have been in ZTE for the first 18 years. I stood in front of the office window on the 5th floor of the R&D building. I looked around, walked on the sidelines, looked back and meditated, and carefully remembered the bits and pieces of myself over the past 18 years. In 2001, I joined ZTE at the age of 27, and joined the Beijing project team, work number 20010310009948. 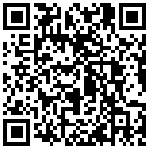 I started as a doctoral student from the ordinary salesman and started my ZTE road. At that time, as one of the first markets open to reform, China Telecom's basic network was experiencing the rise of local manufacturers represented by the “Golden China” by the so-called “seven countries and eight systems”. The key node that was interrupted. The Shijiazhuang Office was the first stop of my management position in ZTE. At that time, the Hebei market had a single product and the wireless market share was zero. The office made major mistakes in the bidding of Netcom PHS and Unicom CDMA, 11 locations. The bidding of the city did not win the bid, and the customer relationship fell to the freezing point. On October 8th, 2002, I started my journey from Beijing to the south. After more than three years of hard work, Hebei Netcom and ZTE have established a very good strategic partnership. They have made major breakthroughs in ADSL and PSTN, occupying a higher level of network structure; the new operator market continues to expand to Baoding. The Mobile GSM Experimental Bureau broke through. By the time I left the Shijiazhuang office at the end of 2005, the Baoding wireless market share had exceeded 30%. When I handed this transcript to the successor manager at the end of 2005, I actually got the company for the next two years in 2006 and 2007. The competition exceeded the award. basis. It is worth noting that in just three years after I joined the company, ZTE has become the fourth largest partner of China Unicom Group in the CDMA field, with a market share close to 20%. By 2004, ZTE's revenue was close to RMB 21.2 billion, and Hong Kong's H shares were listed. In this year, Hou Dong won the “CCTV China Economic Year of the Year”. At the beginning of 2006, I was transferred to the Taiyuan office on the other side of Taihang Mountain. After 5 months, I was promoted to the deputy general manager of the business department, which is the company's three-tier leader. At the same time, I was appointed as the fifth district of the third camp. I rushed around and fought together in North China, Central Plains, and the Northwest. At that time, at the critical moment of the 3G bidding, there were 18 nets in the six provinces of the five districts. By the beginning of 2009, the battle really ended. The five districts won 17 of the 18 networks in 6 offices (except Tianjin Telecom). In 2009, opportunities and opportunities are at the same time, dreams and ideals are flying together. I would like to wish the Lanzhou office with this poem, together with the district, to pass on the good news for the business department. But the northwestern public will be in the outside of Yumenguan! In April 2009, I transferred to the Director of the Third Battalion Telecom and took over the post of Director of Telecommunications. At that time, in the upcoming 3G bidding project, the Director of Telecommunications and the Telecom Group did not establish effective communication and trust, and lost many provincial capital cities and most developed cities along the coast. Based on the experience and accumulation of the telecom market for many years, the company has placed very high expectations on the telecom market, such as high-end data products, and hopes to have a major breakthrough. Since the end of 2009, the M6000 has been promoted. After continuous efforts, by 2011, the M6000 was the first to be selected in the country for the first time, and the share of each new share was above 40%. At the same time, the Director of Telecommunications began to target again. The new direction CR (known as the "Mount Everest" on the wired communication network - high-end data cluster router), from the beginning of operation to the real finalist, has gone through a full five years, the hardships in the process are difficult to describe. At that time, our early products and the industry benchmark enterprises had a generation difference. Through continuous efforts, in the field of data products where everyone has no confidence and competitive pressure, the Director of Telecommunications has set a high goal from top to bottom. The goal is the mission, and the goal is feelings. After five years of grinding a sword, in 2014 ZTE CR products T8000 cluster router officially entered China Telecom! The small partners beat Huawei company, took the first market share of 42%, entered the six cities, and established ZTE's status in the 4G market in China! It was during the several years of the Director of Telecommunications that I proposed the KCRM management and S-level project management philosophy from the management, and implemented it fully within the Telecommunications Director Office; from the KCRM dimension, through several years of refined management, to ZTE The brand building has been greatly improved, and the strategic partnership between ZTE and China Telecom has been greatly strengthened. The morale of the team has continued to rise, the employees have been renewed, and the team's combat effectiveness has been continuously strengthened. In the communication market in 2014, the competitive environment was even worse. On the other hand, with the continuous development of the mobile Internet, the pipeline of operators is inevitable, and the operating environment of operators continues to deteriorate, accelerating the transfer of operating pressure to downstream suppliers. At the beginning of 2014, I was officially promoted to be the company's leader and SVP. I took over the three battalions that he had carefully operated for 8 years from Zeng Xuezhong. At the helm of the three battalions, Zeng Zong raised the scale of the three battalions from the beginning of 10 billion to nearly 30 billion. I stood on the shoulders of the giants and felt awkward. “ The picture is difficult to be easier, more than its fine. It’s hard to do things in the world, it’s going to be easy; the world’s big things must be done in fineness. It is from the beginning of 2014 that the three battalions have determined the overall idea of ​​spiraling from “management improvement”, “management deepening”, and then “management optimization”; “Four Tables Assessment” is the center, strive to improve the two capabilities of KCRM and MKT, both hands, both hands must be hard, fully implement S-level project management, establish “> major project combat headquarters”, “after sales” Innovative management measures such as project management & rdquo; effectively improved the operational efficiency; launched the "large exhibition car" national tour, and continued to enhance the value of ZTE brand! On December 28, 2015, at the Third Camp All Cadre Conference, the company officially announced the plan for the integration of the three battalions and terminal China, and I am responsible for it. Also on that day, I was promoted to the company's EVP by SVP and entered the company's “conventional team”. It was at that meeting that I officially announced that the new three battalions entered the state of "life and death", and that it was not overnight, and the order was banned. From that moment on, a unit will continue to fight in the system network products, and we must fully strive to achieve the final decisive victory of “a counter-environment for ZTE”: “Special action for ZTE: “encirclement campaign”); Another unit, to be reborn, will achieve a great terminal China revival on the terminal side. Brothers are united, their profit is broken! Looking back many years later, we will be proud of today's struggle! … … Just like the rebirth of the Alpine Eagle, as long as there is constant courage, the future can go further! The new three battalions of integrated operation, integration, change, learning, innovation, and running! All the brothers in the world, who is the passerby. I am even the same as the branch. Very unfortunately, in the first quarter of 2016, the company experienced the biggest crisis in history: we called it the A event, and I experienced the whole process of the initial negotiations. As the company's head of the negotiating team in Washington, the United States, the A incident in that year was lifted in less than three weeks, and the US Department of Commerce's moratorium on sanctions was suspended. The hardships are very understandable. At that time, I often said to my friends that after the A incident, the company will inevitably increase its ability to withstand this hardship. In the face of the catastrophe, ZTE people have stood firm and actively negotiated, let the US government see our determination to be strong, determined and better for future development, and promote a solid step towards the development of global multinational enterprises. . In the long run, this event is a watershed and a landmark event for ZTE. In the past few years before 2016, the most impressive thing I did in the three camps was the S-level project manager responsibility and KCRM. Under the competition of the increasingly powerful main rivals, the three battalions continued to maintain the narrowing of the competition ratio. Behind each project, the strong fighting power of the three battalions was reflected! From 2016, facing the new historical mission and the new historical stage, the structure of the new three battalions has also been adjusted, and a strong city team has been established at the city level. “55 towers” ​​have established a district department. Opened a fast-developing organizational channel. At the end of 2016, the company decided to form a global marketing. This is the true meaning of ZTE's history. “Global” is a game of chess. On December 21, 2016, I was in a wheelchair (the left achilles tendon was broken due to exercise). From Beijing to Shenzhen headquarters, I took up a new position: Global Marketing Leader. At that time, on the one hand, from the overall situation, the company was engaged in the late negotiation of the difficult A incident. On the other hand, our friends in the same city have made great strides in recent years and quickly opened the gap with us. It is in this context that global marketing carries the dream and mission of the company's future system products to develop faster. At the time, I was sitting in a wheelchair and carrying a crutches. I felt a lot of pressure, but the power was huge. This pressure comes from the trust and expectations of the company's leaders and employees. This motivation comes from the mission and responsibility that we never admire! After the establishment of global marketing, it immediately set up the business main battle, professional construction, and the organization structure of the integrated organization, and resolutely implemented the core business initiatives of “focus” & quot; professional & rdquo; “shared” and adhered to compliance. Management, comprehensive coverage of all aspects of global marketing; comprehensively strengthen "four table assessment", continue to promote "S-level + Top project and KCRM"; two management tools, in the global marketing, form "study, learning, The learning atmosphere of rushing, helping, and super- rdquo; normalizes the skills of all employees, enhances professional competence in various fields, and continuously improves the ability and level of customer relationship management. "The husband is ambivalent, and the miles are still next to each other." Since the establishment of global marketing for a year, I have been fighting with my global partners. I have traveled all over the world. I have traveled more than 200 days a year, covering more than 20 provinces and cities in China, and more than 30 countries and cities in the world. 600,000 kilometers. The global marketing partners, courage and efficiency, the company's key products continue to improve in the big country T, and the professional capabilities in various fields continue to improve. By 2018, the systematic management of global marketing has begun to pay off. Major operators around the world have begun to substantially deepen or expand cooperation with ZTE, such as the VDF African four-country wireless project bidding project, the global 5G network of Ooredoo Group Qatar 5G network, such as the Telefonica Group's carrier network modernization project, and many more. Just as global marketing was going to make great progress, the 416 incident came and the journey came to an abrupt end. I was so saddened to hear about this news on my international business trip. I remember that when I left Dubai Airport, it was already 3 am local time. However, after arriving at the residence, I could not sleep at all, and my eyes closed until dawn. But looking at the path, the sky is green. It’s really a year of 18 years, and the success or failure of every battle is vivid. The planning of every project is still fresh in the memory; every change in the post brings me new challenges. When I signed my name on the document of the termination of the labor contract, the scenes of the past were played back in my mind, and the pace of time was always on the way. My heart is bright and my words are repeated. Hepatically and grateful. Grateful for the past 18 years, the platform provided by the company. I started from the most basic account manager, experienced many jobs, and participated in the battle of too many occasions. It is the stage provided by ZTE, allowing me to show what I have learned and what I can. As a doctor of management graduated from Southeast University, it is because of a world-class practice stage such as ZTE that I have continuously combined theoretical knowledge with practice to continuously enrich and enhance my life perspective. S-level large project management, KCRM concept, four-table assessment and other management tools all combine management skills with practical experience, and constantly improve in the process. In the past 18 years, it has been a step-by-step platform provided by ZTE, which has provided me with enough space to display my talents and ambitions. For 18 years, thanks to the leadership of the company. I still remember that the founder Hou Dong’s teachings and help, the core values ​​can not be forgotten: mutual respect, loyal to the ZTE career; sincere service, condense customers; fight innovation, integrate ZTE brand; scientific management, improve corporate efficiency. I would also like to thank my other leaders in ZTE, Zhang Xiumei, Zu Yinchang, Shi Ligong, Zhang Chuanhai, Zeng Xuezhong, Fan Qingfeng, Tian Wenguo. From them, from different angles, I have enriched my life coordinates. For 18 years, the little friends have gone through the storm. Since the beginning of 18 years ago, we have been together and faced with strong competitors. Together, we have overcome difficulties one by one, and solved problems one by one. We dare to make moves and are good at picking up and doing. The hoof is steadily stable, and all the way, the same boat, the original heart, and the peers. Thanks to our friends in the same city for 18 years, Huawei. In the past 18 years, in addition to the name ZTE, the name huawei has always been remembered. Regardless of how to fight on the battlefield, we have to admit that Huawei, like ZTE, is a banner of Chinese national communications companies. ZTE is constantly growing up in the process of fighting with Huawei, and it is today. In a sense, without Huawei's all-way lead, there is no ZTE today, and because of ZTE's constant pursuit, it has also promoted Huawei's triumphant triumph! I sincerely hope that a national communication company like Huawei can always stand up to the challenges that will inevitably occur in the future! General Jin Yinan said, "The greatest contribution of the military to the country is not sacrifice, but victory." But just yesterday, in the context of the Sino-US trade war, under the "black terror" of the science and technology war, all EVPs of companies including me have signed the separation agreement and have officially stepped down and left the company. Such a departure is really unwilling and deeply humiliating. However, for the company's next development, for the company's better future, we resolutely fulfill the requirements of the company's settlement agreement, and all choose to leave, no regrets. This afternoon, the company's new and old management team will also be officially handed over. The new team members are also the comrades who fought together before this. They are all recognized and practiced inside and outside the company. They all have long-term experience in various positions. They all have rich management experience, all have strong fighting power, and all have deep ZTE. feelings. The young business team, you must pick up the banner of ZTE. You are not only shouldering the expectations of the company's 80,000 people, but also shouldering the heavy responsibility of continuing to revitalize China's national communications industry. It is also very important that you still have the expectations of our generation of Zhongxing people. The departure of our generation of Zhongxing people, I hope to get a better future for the company. I hope that you will not forget your heart, move forward, create a better future for ZTE, and create a new situation in China's national communications industry! Life is like a trip, I am also a pedestrian. But looking at the path, the sky is green. Zhang Xuhao latest internal speech: Hungry yet how to see friends (he) Suppliers (bing)? ZTE mobile phone these years: Huawei "wolf" development, and ZTE Gan as "Ruzi cattle"
The "second-rate" ZTE that was sent by his own lawyer to "gun"
ZTE executives are forced to make big changes in blood: it is humiliating to leave so far as they really want. The United States’ ZTE’s lock-up order was officially cancelled.